New June Promotion! Get your June No Deposit Free Spins at Glimmer Casino and Dazzle Casino now! A new month always brings with it new promotions – and for the month of June, we are ecstatic to share with all of our Gameplayer-Casinos readers two great offers. Get your June No Deposit Free Spins at Glimmer Casino and Dazzle Casino if you have not yet done so! 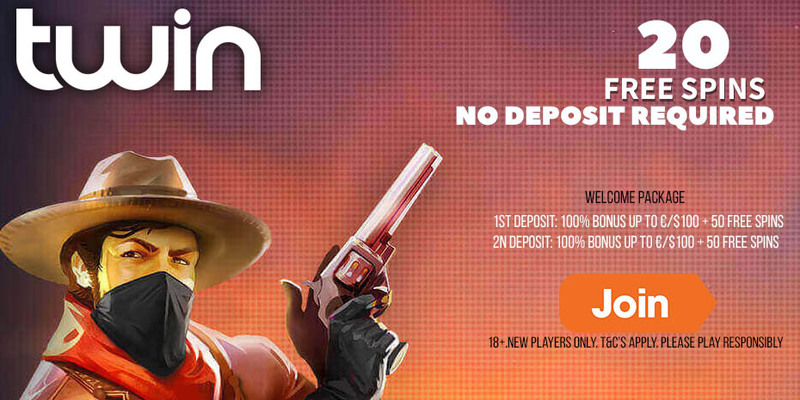 All new players are eligible to sign up to both casinos to get some June No Deposit Free Spins. No deposits of any sort are required, although if you do make deposits, you are eligible to get even more Free Spins coming your way. 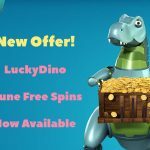 Check out the details below for more information on how to get your June No Deposit Free Spins. If you are a new player and have not yet signed up for an account at Dazzle Casino, then you are eligible to get 10 No Deposit Free Spins on the Copy Cats Slot. Sign up for an account at Dazzle Casino using the link here or on this page. Use our exclusive promotional bonus code: 10CATS to get your 10 No Deposit Free Spins. Additionally, make an initial deposit of €/$/£20 and you will receive 20 Piggy Riches Free Spins. Use our exclusive promotional bonus code: 20RICHES to get your Free Spins. Make your second deposit of a minimum of €/$/£10 and get 50 Starburst Free Spins. Use our exclusive promotional bonus code: 50STARS to get your Free Spins. All new players at Glimmer Casino can take advantage of the No Deposit Free Spins offer for June 2017. Sign up for an account at Glimmer Casino using the links on this page (or click here). 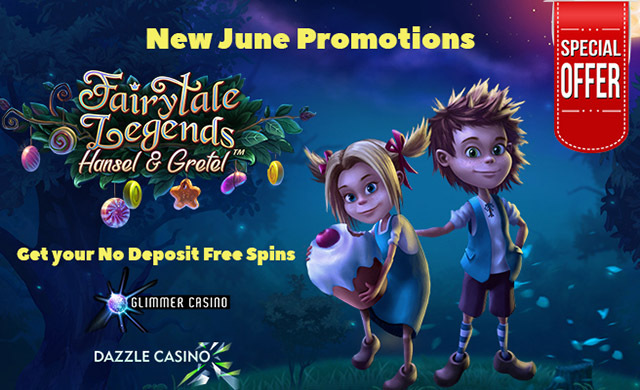 You will get 10 No Deposit Free Spins on the Fairytale Legends: Hansel and Gretel Slot. Use our exclusive promotional bonus code: FAIRY10 to get this offer now. Furthermore, make an initial deposit of €/$/£20 and you will receive 20 Scruffy Duck Free Spins. Make a second deposit of a minimum of €/$/£10 and get 50 Aloha! 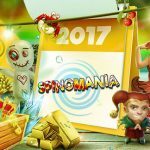 Cluster Pays Free Spins. Both promotional offers mentioned above end on 22 June 2017 (23h59 GMT). All of your Free Spins are available for 7 days upon registration and players must meet wagering requirements within 7 days. The maximum that players can win from their No Deposit free spins is capped at €/$/£20. Unfortunately due to geographical restrictions, players from Canada cannot sign up for any free spins on NetEnt games. 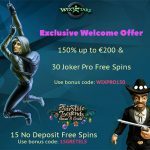 The wagering requirements for any No Deposit free spins winnings and Deposit free spins winnings is set at 50x. Players from the following countries are restricted from signing up for the promotional offers mentioned above: Poland, Belarus, and Romania. Players that select Great British Pounds as their currency and are not from the United Kingdom will NOT be eligible to receive the Deposit Bonuses. Posted in Dazzle Casino and tagged June free spins, June offers, June promotions.